On August 16, 2018, Katherine M. Richo fell asleep in the Lord. Born and educated in Boston, MA, she was the daughter of the late Zaharo (Dracopoulos) and George Marag and beloved sister of the late Theodore G. Marag. A graduate of the Massachusetts General Hospital School of Nursing, University of New Hampshire (BSN), and UMass Boston (MSN), she went on to enjoy a fulfilling nursing career and life as an Army wife working and traveling with her husband, the late Philip E. Richo, and children, Michele (Cullen) and Christopher. Her time spent at US Army Hospital in Okinawa, Japan was one she particularly held in high regard. Kathey discovered her true joy of melding faith & passion through parish nursing at St. Philip Greek Orthodox Church in Nashua, NH and at CMC Parish Nurse Program in Manchester, NH. 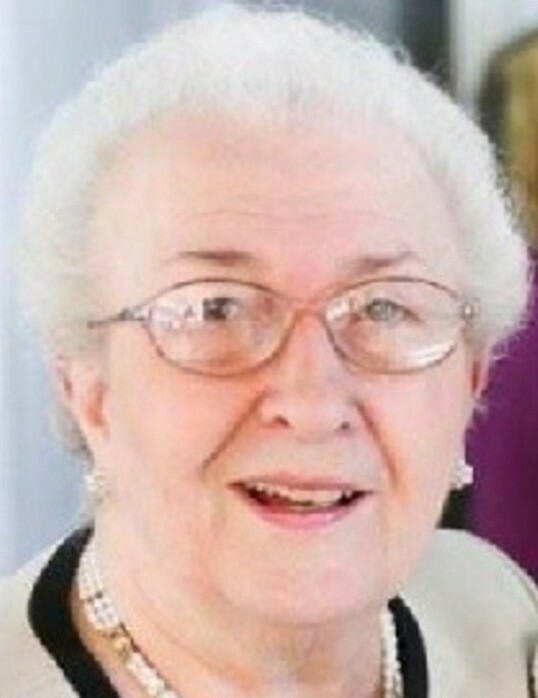 She remained active in the Altrusa Club of Merrimack Valley; as a member of “The Day Away” Alzheimer’s program at St. Joseph Hospital in Nashua, NH, and enjoyed volunteering at the MGH Nursing & Medical Archives. She was also a member of the International Honors Society of Nursing and Emeritus member of the American Association of Critical Care Nurses. She was deeply devoted to her Orthodox faith. As a parishioner of St. Philip Greek Orthodox Church, she enjoyed hosting the loukoumades booth at the annual Greek Food Festival. Besides her children, Michele & Chris, Kathey is survived by her adoring family who will forever miss her presence. Her sons-in-law, Ken Cullen and Donald Charron, sister-in-law Patricia Marag, cousin, Mary Kokaras, and many beloved in-laws, nieces, and nephews. Beloved Yiayia to, Matthew Charron (and his significant other Elaine Gelineau), Andrea (Charron) Rodriguez (and her husband Joseph), Alyssa Charron (and her fiancé Doug Rapsis), Tia Parr (and her husband Jeremy, and children Rachel, Haylee, Andrew, Hannah, and Gavin), and Eric Cullen (and his significant other Jamie Beard). She especially enjoyed her role as “Baya” to her great-grandson, Benjamin, whom she could always count on to give her a good laugh or read a good book together. Relatives and friends are invited to her visitation on Wednesday, August 22nd from 4 pm – 8 pm at ANCTIL-ROCHETTE & SON FUNERAL HOME, 21 Kinsley St, Nashua, NH 03060. Funeral services will be held on Thursday, August 23rd at 10:00 am at St. Philip Greek Orthodox Church, 500 W. Hollis St., Nashua, NH 03062. Interment will follow at Woodlawn Cemetery, 101 Kinsley St, Nashua, NH 03060. Should you care to make a donation in memoriam, please consider donating to St. Philip Greek Orthodox Church (500 W Hollis St, Nashua, NH 03062); Altrusa International Inc. of Merrimack Valley (c/o Ann Marie Snyer, 72 Red Gate Road, Tyngsboro, MA 01879); “The Day Away” program at St. Joseph Hospital (Online - https://www.stjosephhospital.com/support-st-joes/make-a-donation; by Mail - St. Joseph Hospital Foundation, 172 Kinsley Street, Nashua, NH 03061).